So much to share today! Let’s dive right in, shall we? First, an interesting trend I’ve noticed of late: Of the eight novels I’ve read since September 1st, FOUR have included an element of time travel. This is a peculiar coincidence because before September 1st, I can’t tell you the last book I picked up that had anything to do with time travel. Also, if you had asked me two months ago if I like stories that utilize time travel as a plot device, I would have said, “Eh.” I certainly don’t seek time travel novels out, but I have enjoyed the ones I’ve read lately (actually, two of the four have been added to my All-Time Favorites list. Huh…). What do you think of novels that include time travel? Have you noticed them trending the way I have? Any favorite time travel books to recommend? 1. Corduroy by Don Freeman – Don Freeman’s classic character, Corduroy, is even more popular today then he was when he first came on the scene over thirty years ago. These favorite titles are ready for another generation of children to love. 2. 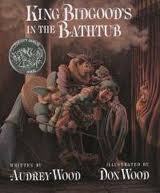 King Bidgood’s in the Bathtub by Audrey Wood – In this raucous tale, the Knight, the Duke, the Queen–and eventually the whole court–all try to lure King Bidgood from his cozy bathtub, but he won’t get out! Will anyone be able to solve this problem? 3. The entire Baby-Sitters Club Series by Ann M. Martin (and a long parade of ghostwriters, I assume) – Follows the adventures of Kristy and the other members of the Baby-Sitters Club as they deal with crank calls, uncontrollable two-year-olds, wild pets, and parents who do not always tell the truth. 4. 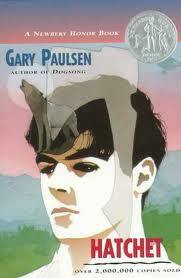 The Hatchet by Gary Paulsen – Since it was first published in 1987, the story of thirteen-year-old Brian Robeson’s survival following a plane crash has become a modern classic. Stranded in the desolate wilderness, Brian uses his instincts and his hatchet to stay alive for fifty-four harrowing days. 5. 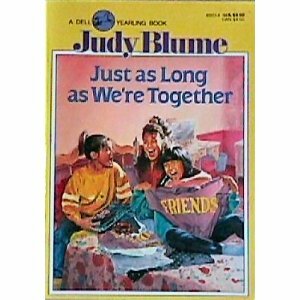 Just as Long as We’re Together by Judy Blume – Stephanie, 12, is into “hunks” even though she’s never met one herself. But when she starts seventh grade and finds out that she and her best friend, Rachel, aren’t in any of the same classes except gym, Stephanie has more to worry about than boys. A new girl, Alison, moves in; she’s a welcome new friend, but her presence alters the relationship between Steph and Rachel. For the first time, Rachel has secrets from Steph. But worse, Stephanie accidentally learns that her father isn’t in California on business, but that her parents have separated, and that her father has a girlfriend. She even suspects her mother of having a “fling.” The relationships within the story among the three friends, and between Steph and her parents, are complicated, and Blume handles this aspect realistically and with great ease. The story is lively and captures the nutty, poignant world of young teenagers. Next: Today Alex Cavenaugh and Matt of the QQQE are hosting the Pay It Forward Blogfest! The idea is to introduce your readers to three bloggers you find awesome. Here’s how it works: In my post, I’ll list, describe, and link to three blogs I enjoy reading, then you can hop around and check out their awesome for yourself. How fun is this idea?! Just so you know, it was incredibly difficult to narrow my list to ONLY three blogs, but in the end I went with three that, when updated, I feel extra excited to read. 1. Alison Miller’s Left Brained by Day; Write Brained–All the Time – Alison is adorable! Her posts (on writing, books, motherhood, and life) are witty, thoughtful, and fun. Her taste in books is quite similar to mine, which makes her reviews over-the-top aMaZiNg! 2. Erin Bowman – Another blogger with fabulous taste in YA books! Erin’s blog is full of style and insight. She consistently shares her experiences with reading and writing, and advice on the publishing process (her debut, The Laicos Project, will be released Winter, 2013… can’t wait!). 3. Tracey Neithercott of Words on Paper – I could include Tracey based on her conception of The Fall Book Club alone, but, she has even more brilliance to share with the blogosphere. Her posts are a sassy combination of smart, sharp, and, clever, and she always takes Road Trip Wednesdays in an enviably unique direction. And a special mention to agent Vickie Motter of Navigating the Slush Pile, because–hello!–she’s fantastic. Her Wednesday Reads feature is one of my favorites, and she’s posting helpful information on writing, querying, and publishing. Please do stop by the Pay it Forward Blogfest to check out the many posts, and maybe even participate yourself! If it were safe and feasible and you were given the choice, would you rather travel back in time to the past, or forward to visit the future? Tragic pick-up line, or totally awesome science geek opener? And I’ve been noticing the same thing about time travel in novels! And I love it. Not only because I’m a HUGE Back to the Future fan, but that shiny new ms in my head has been screaming time travel at me. And I would much rather go back to the past – I kind of like the uncertainty of what lies ahead. 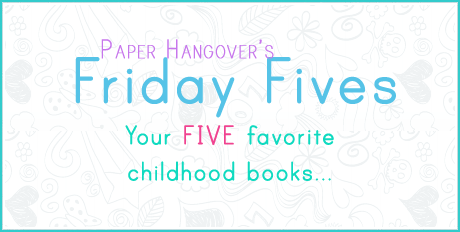 Great book list for Friday Fives! I’m with you on the traveling to the past rather than to the future. I don’t want to know what’s coming up until I meet it head on. I love King Bidgood’s in the Bathtub. It’s one of my favorites because I like the clothing but then I like seeing the how everyone’s clothes look when they get out of the bathtub. Me too! The illustrations are my favorite part–beautiful! Thanks for stopping by… I hope you enjoy the blogs I linked–they’re fantastic! I love Corduroy! Time travel books? Hmm. The Time Traveler’s Wife of course. Tom’s Midnight Garden. The Time Machine. Also, if you don’t mind me asking… What were the books you read that featured time travel. I know PEREGRINE is on there from Fall Book Club, but I’m curious about the others. I’m going to email you about the time travel books I’ve been reading lately. I have lots of opinions to share, as usual! The past. As far as I can tell, my life wouldn’t be too hurt if I hadn’t gone to university (I could have worked and saved up money instead of going the student loan route), or if I’d done a different degree. But books and movies about time travel has made it very clear that a tiny change back then can mean a huge change in the present, so for all I know this is the best time line to be on! That’s kind of how I feel, Sophia. I’d rather just enjoy the ride and assume that everything that happens is what’s SUPPOSED to happen. I love your childhood faves! I wanted to be Stacy or Dawn so bad–I’m really surprised I’ve never dyed my hair blonde as a result. Time travel isn’t my thing, but it’s not *not* my thing either. I love how it was used in The Time Traveler’s Wife; less so in a book like Miss Peregrine’s. I like the surprise of the future too, Rebecca. I feel the same way about time travel in fiction. I don’t seek it out, but I’ve read some books that use it SO well, like REVOLUTION, for example. You’re the second person to mention THE TIME TRAVELER’S WIFE. Clearly, I need to read that book! For reals? I have been prepping a time travel book for NaNoWriMo and just yesterday I was seriously thinking about taking the time travel element out of the story to simplify it. Now I have to rethink my rethinking. LOL! 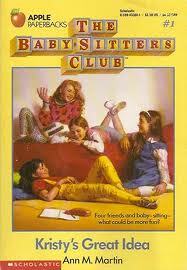 I loved the Baby-Sitters Club (and only just got rid of my collection). And as for Judy Blume? Who didn’t love that woman? 🙂 Great list! I can’t believe you got rid of your BSC collection! I garaged-saled mine years and years ago, and now I’m kicking myself. I’d LOVE to have it back! THANK YOU for including me in that list of wonderful blogs. 🙂 I hope someone pays it forward to you because I love your blog! The two time travel books that come to mind are MISS PEREGRINE’S and HOURGLASS, but I’d read others. I like the time travel element–if it’s done well. I think the logistics of it are easy to screw up, though. And if I had a choice, I’d go back to the past. I think if I knew what the future held I’d have anxiety attacks or something, knowing bad stuff would be happening. Thanks, lady! PEREGRINE and HOURGLASS are two of the four time travel novels I referenced above. Like you, I think time travel can be very cool when done well. And I’d totally visit the past too. I’d be depressed if I already knew what was coming, good OR bad. Great blogfest recs, and the books I know from your list I totally agree with. Some are new to me, I’ll have to check them out. 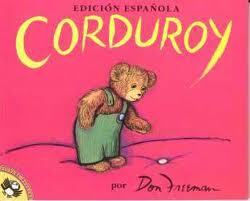 Corduroy is awesome and Judy Blume can do no wrong. Do you follow her tweets? I’m convinced she could not be cooler or nicer. Thanks, Kat! And oh, yes, I definitely follow Judy Blume on Twitter. She’s such a writing idol of mine. Classy and brilliant and adorable! I would TOTALLY time travel if I could. I would go back to the past, because there’s something I really like about not knowing what the future brings. 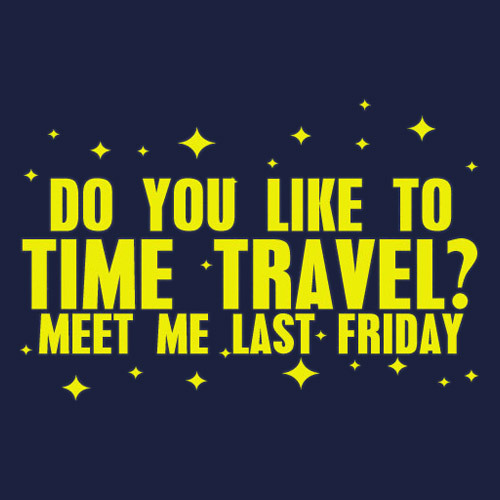 (And that time traveling pick up line cracked me up!) I have three writer friends with a time travel element in their WIPs right now and they are all sooooo cool (and super different). You have great taste in blogs 🙂 I think Erin’s is the only one I wasn’t already following (which I am now, thanks to you). I’d rather go back to the past too, Sara. I’d hate to know what the future holds. And yeah… WHEN YOU REACH ME = AMAZING. Loved that book so much! I’m glad you checked out Erin’s blog. It’s lovely and she’s brilliant! Great choices! I vividly remember reading Hatchet in sixth grade–we each had our own copy and the teacher would read aloud or–agony–have a student read. I covertly read ahead at my own pace because I couldn’t take it. I would most definitely go back in time, to take my high school self shopping. I was 5’9 and 150 pounds, and convinced that I was hideously fat and ugly. I wish I had worn something other than baggy jeans, baggy black theater company t-shirts, and the occasional floor-length skirt. It sounds really trivial but I’m actually really sad for my then-self because I was so miserable about it. I’m in much, MUCH worse shape now and feel like, infinity times better about myself. At sixteen, I announced to my best friend that I had resigned myself to dying alone; at nineteen I met the guy who became my husband. That three-year interval just blows my mind. I had a very similar high school experience… low confidence for no good reason and, like you, when I met the person who I eventually married at nineteen, everything sort of came together. Thank goodness! I do love Time Travel. I don’t always seek it out, but I love it. One of my favorite MG novels is Lindy Buckley Archer’s THE TIME TRAVELERS trilogy. I haven’t read THE TIME TRAVELERS trilogy, Kris, but I’ll definitely check it out. Thanks for the recommendation! I’d travel to the future, for sure! I can’t wait to see where the human race is in, say, 100 years?! Love your childhood book picks and thanks for the links to new blogs. Thanks so much for stopping by, Kitty! You’re in the minority of to-the-future travelers, and clearly one of the brave ones! New follower from the blogfest. Nice to meet you! I really love time travel. I wish I could think of a good time travel romance idea. When I went to the Big Sur writing conference last year, one of the girls in my crit group had an amazing time travel romance…I fell in love with the first chapter. Now it’s been sold and I can’t wait to read the rest of it! I guess I just love impossible relationships, and what’s more impossible than being in different times? Okay, I’m totally sold on the time travel romance you mentioned. That’s something I could totally get behind, provided the romance was central and truly felt impossible. You’ll have to let me know when it’s due to come out. Hope you’re having a great weekend too, Jess! I used to like time travel books a lot, but the ones I’ve read in recent years haven’t been that inspiring. It’s really tough to pull off in a way that feels fresh and not yet done, I guess. And so often there are plot holes. The Time Traveler’s Wife had a pretty original spin on it with the genetic disorder bit, but I really disliked that ending and there were some plot issues that drove me crazy. But if you can find one that’s amazing, I’d be all over it. I definitely need to read The Time Traveler’s Wife. So many people have mentioned it here! I have to confess, I tried to watch the movie and couldn’t really get into it, but I have a feeling the book will be different and probably much better. I think REVOLUTION is probably the best “time travel” book I’ve read, though there was really so much more to it than that. I recommend it if you haven’t already read it! Hi Katy. Thanks so much for taking part in our blogfest. My only problem is I can’t find your Google Friend Connect follower widget. How do I follow your blog? Help! Thanks for the hosting the fantastic blogfest! I haven’t read Waterfall, but I love the title! I’ll definitely check the series out. Thanks for the rec, Chantele! Nice to meet you. 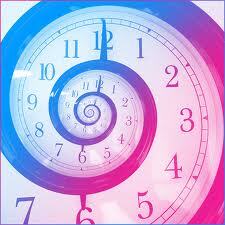 When you say time travel, does that include reincarnation stories which I love? Nice to meet you as well, Monti. 🙂 I hadn’t really considered reincarnation when I was pondering time travel, but I think it could totally be included. It’s been a long time since I’ve read a reincarnation story I loved… do you have any recommendations? I know Alison! Hey, I’m one of the co-hosts and just wanted to thank you for participating in the blogfest. Alison is fabulous. 🙂 The blogfest was a blast… thanks for hosting! Where would we be without Judy Blume? I’m still Paying it Forward…slowly! Honestly… Judy Blume’s books made me feel normal growing up, and have since become a study in how to write contemporary YA books. Love her! Wow this is good to know as I’m currently wrapping up ny WIP for querying soon and it’s a time travel romance where Ada Lovelace is a main secondary character. I’d like to go to the future and the past LOL!